Jafarirad, S., Kordi, M., Kosari-Nasab, M. (2018). Investigation on Microstructure, Lattice and Structural Chemistry of Biogenic Silver Nanoparticles. 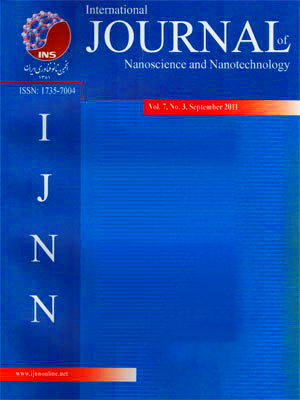 International Journal of Nanoscience and Nanotechnology, 14(3), 197-206. S. Jafarirad; M. Kordi; M. Kosari-Nasab. "Investigation on Microstructure, Lattice and Structural Chemistry of Biogenic Silver Nanoparticles". International Journal of Nanoscience and Nanotechnology, 14, 3, 2018, 197-206. Jafarirad, S., Kordi, M., Kosari-Nasab, M. (2018). 'Investigation on Microstructure, Lattice and Structural Chemistry of Biogenic Silver Nanoparticles', International Journal of Nanoscience and Nanotechnology, 14(3), pp. 197-206. Jafarirad, S., Kordi, M., Kosari-Nasab, M. Investigation on Microstructure, Lattice and Structural Chemistry of Biogenic Silver Nanoparticles. International Journal of Nanoscience and Nanotechnology, 2018; 14(3): 197-206. 1Department of phytochemistry, Research Institute for Fundamental Sciences (RIFS), University of Tabriz, Tabriz, Iran. 2Drug Applied Research Center, Tabriz University of Medical Sciences, Tabriz, Iran. The use of plant extract in the biosynthesis of nanoparticles (NPs) can be an eco-friendly approach and have been suggested as a possible alternative to classic methods namely physical and chemical procedures. This study was designed to examine the structural chemistry of silver nanoparticles (AgNPs) using both conventional heating and microwave irradiation methods.To our knowledge, this is the first report that proposes a structural chemistry during synthesis of biogenic silver nanoparticles using Artemisia fragrans extracts. The as-synthesized AgNPs by both approaches were characterized using UV-vis, FTIR, XRD, SEM, EDX, DLS with zeta potential analysis and antioxidant activity. Characterization data revealed that AgNPs produced by microwave irradiation (900 W) and conventional heating (100ºC) have average size of 18.06 (zeta potential, -46) and 60.08 nm (zeta potential, -39), respectively. The synthesis of such biogenic AgNPs using eco-friendly reagents in minimum time open the road for decreasing cytotoxicity of the AgNPs without risking interference of toxic chemical agents. In addition, this eco-friendly synthesis with green approach is a new, cheap, and convenient technique suitable for both commercial production and health related applications of AgNPs.